in a very giant frypan, saute onion and mushrooms in oil till tender. Add spinach and ham; cook and stir till the surplus wetness is gaseous. Cool slightly. Beat eggs; add cheese and blend well. Stir in spinach mixture and pepper; mix well. unfold equally into a lubricated 9-in. pie plate or quiche dish. Bake at 350° for 40-45 minutes or till a knife inserted in center comes out clean. 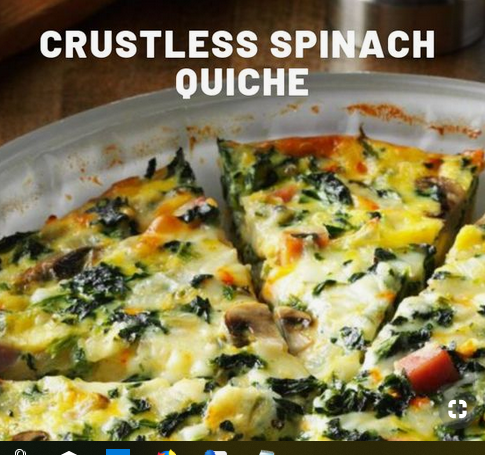 0 Response to "Crustless Spinach Quiche"